If you know me, you know that I currently have a bit of trouble facing a new day. I suffer from intermittent morning anxiety, dreading waking up. I’m not depressed, I think I’m just trying to cope with meeting everyone else’s expectations — so I exhibit nervousness in those first few moments of rising and shining. Get me through that, and I’m fine. So when a Christian book with the subtitle “The Art of Reshaping Your Thoughts” came along, I was game for it. Maybe it would help quell any discordant thoughts I have when I’m still groggy from sleep. Now, I knew walking into this book that it was going to be evangelical in nature as the publisher’s blurb talked about Jesus dying for your sins and all that. Still, I thought it wouldn’t hurt to peek and maybe there’d be something that I could pull out of the book that would resonate. Turns out I was wrong. Pretty dead wrong. At no point in this book does Lance Hahn, the author (who shouldn’t be confused with a deceased punk rocker who shares his name), make any prescriptive insights into how to change your thinking patterns. In fact, he admits that he suffers from anxiety himself! So this is, alas, a classic case of the blind leading the blind. I really don’t know what prompted the writing of this book when its author admits that he has no solution for the problem he’s out to unravel — except for, maybe, going to Church, reading the Bible regularly and praying often. Basically, The Master’s Mind is a whole lot of padding. We get to learn that anxiety and, by extension, sin is caused either by desires of the flesh or the world, or the very devil himself. Sigh. So, instead of helpful things such as learning how to talk positively about yourself in a God-honouring way, we get a whole chapter on Hahn’s take on how Satan came to be. Which, I’ll readily admit, I find confusing. It seems like the devil was the most beautiful of angels until pride got in the way and he was cast out of Heaven. However, what’s confusing is that the devil is the snake in the Garden of Eden. So: God created the Earth, and then created man. At some point in all of this, Satan gets rejected from heaven and somehow transforms himself into a snake to tempt Eve. I’m assuming this all happened in a very short period of time. Oh, and then Hahn contends that Jesus will return to cast Satan down into a lake of fire. Isn’t Satan already there? Doesn’t Satan live in a ring of fire? Anyhow, this theology makes no sense to me. Sometimes, a snake is just a snake, you know? To put it mildly, I found myself often arguing with the book. 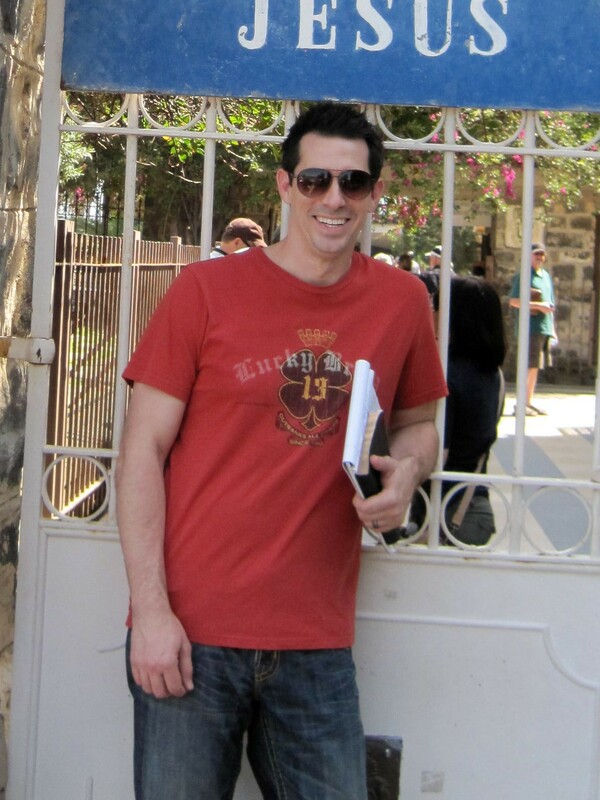 At one point, Hahn writes, “Sometimes God needs to hand us over to whatever craving we have sold our soul for in order to motivate us to fight to get out.” Those are not-so-comforting words to anyone who has suffered from a serious addiction. Really, God wants you to nearly die from all the drinks you’ve taken or cigarettes you’ve smoked just to get you to wake up? Some God, huh? Very loving, indeed. Essentially, what you get with The Master’s Mind is a whole lot of long Bible passages thrown at you and then a pile of writing that couldn’t be more vague or confusing. This book is like a magazine article blown up to paperback length. It has very little, if anything, that’s insightful about coping with addictions or anxieties, and, if you read the footnotes, Hahn throws a few stats out that are merely empirical in nature. How on earth did this book get published, and from Thomas Nelson — a publisher that is, yes, usually evangelical, but sometimes pushes the envelope by printing (the at least better researched) Jen Hatmaker and Rachel Held Evans? Man, I don’t know what else to say about this book, and I’m 250 words shy of my usual self-imposed length of writing 1,000-word reviews. I guess I could prattle on and say The Master’s Mind is not a helpful book. It doesn’t tell you anything you should already know as a Christian. My hunch is that it’s actually a conversion tool to get people who are borderline Christian to suddenly “see the light” and come over to the evangelical side of the fence. Which is fine. I’ve said it before, and it’s worth repeating, so long as you’re not hurting anyone else with your religion (and hurting anybody is not what I want to do with this review), it’s fine. Really. You wanna be a Calvinist? Go right ahead. But the second you try to coerce someone else into acting a certain way, you’re drawing a line in the sand. Which this book does, in a sense. I have about 100 more words left to tell you just how awful this book is. I could thumb through my thesaurus and tell you it is a waste, garbage, rubbish, gobbledegook, a squandered opportunity — all of those things. However, I think that by now you probably get the point. The Master’s Mind is a smug book that tries to help those in need, but can’t even do that given the author’s own admission to being a “work in progress.” It’s got me thinking, though: maybe I don’t have that much of a morning problem, after all. Maybe I just put too much pressure on myself. So I can be relaxed in knowing that I don’t recommend this book one whit. And there I am at 1,000 words. Why do I doubt my own abilities so much? I’ve just proved that I can do the job that’s cut out for me. 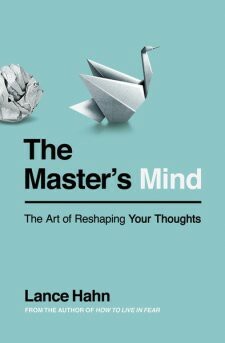 Lance Hahn’s The Master’s Mind: The Art of Reshaping Your Thoughts was published by Thomas Nelson on September 19, 2017. Of course, if you like what you see, please recommend this piece (click on the clapping hands icon) and share it with your followers. Book critic, Fiction author, Poet, Writer, Editor. Follow me on Twitter @zachary_houle.